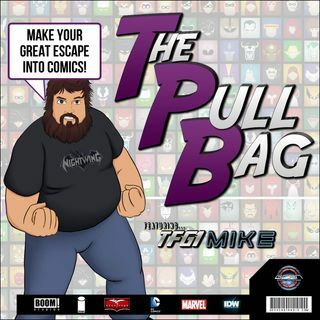 In the 126th episode of The Pull Bag we are finally getting to the D4VE series! TFG1Mike and BeatlesDiva take a look inside Monkey Brains' D4VE written by Ryan Ferrier with art by Valentin Ramon! So jump inside TPB and go on a robot lovin' journey with us! And always remember to MAKE YOUR GREAT ESCAPE into Comics!!! !